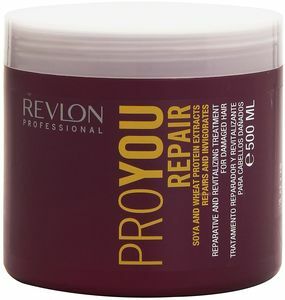 Damaged Hair Repair Treatment 500ml. Formulated with extracts of soy and wheat protein for a rejuvenating and empowering action cuticle. Suitable for rough, dull and brittle hair. The specific formula for the professional Repair Treatment Mask of Proyou joins repairers and revitalizing extract soy and wheat proteins benefits.